*This blog is a participant in the Amazon Services LLC Associates Program, an affiliate advertising program designed to provide a means for us to earn fees by linking to Amazon.com and affiliated sites. Occasionally posts contains other affiliate links as well. 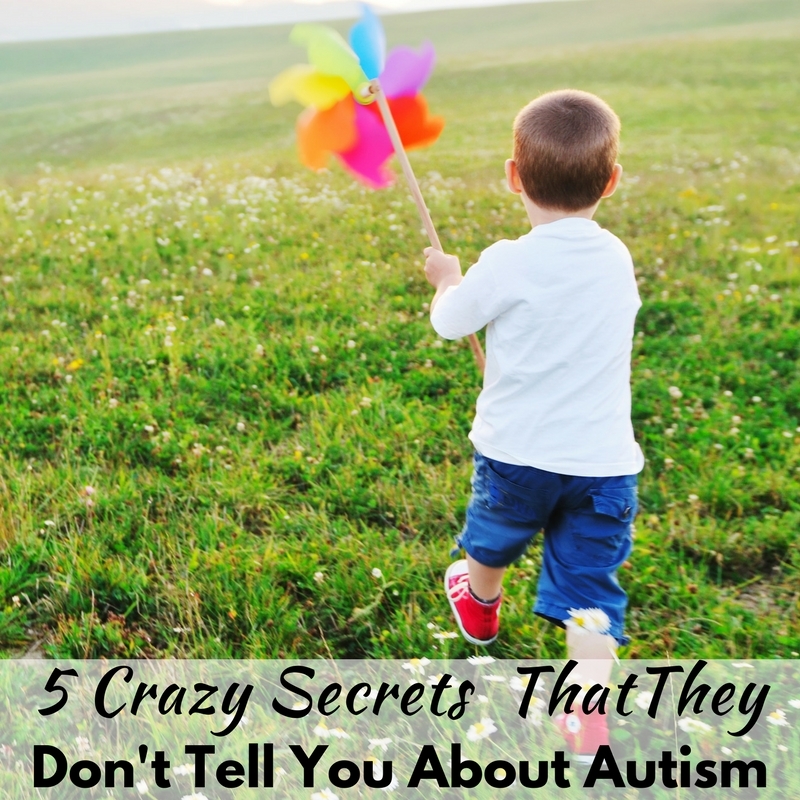 When we received A-Man’s diagnosis, I was absolutely shocked to learn about the big divide between parents of autistic children, and autistic adults. The more I learned, the more that I saw this divide between parents of disabled children and disabled self-advocates in general. It doesn’t make much sense to me, honestly. It seems so obvious to me that my autistic son will grow up to one day be an autistic adult, so who better to learn from than autistic adults? Now back to our topic at hand, disabled self-advocates. In this post, I am not trying to speak for disabled advocates or replace their voice. 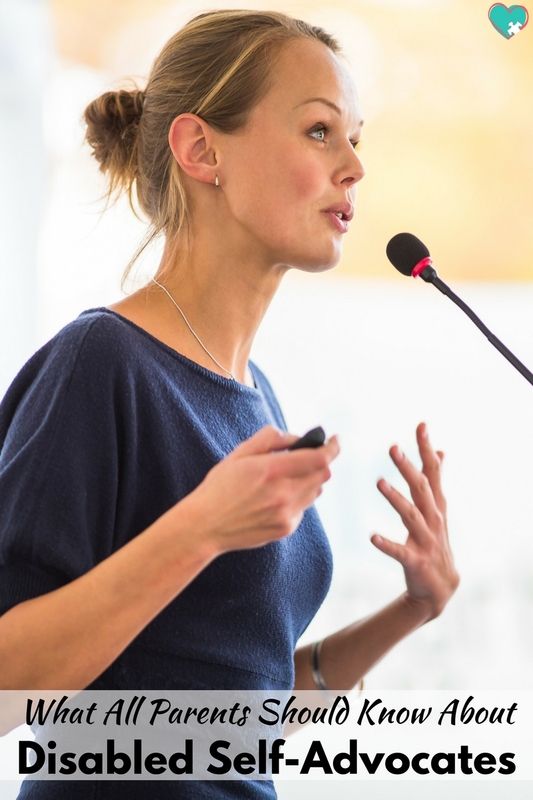 I’m simply trying to show that I will use my voice as an ally, and attempt to showcase what I’ve learned from them for other moms like me who desperately want to do the right thing for their children, but don’t necessarily know what the right thing is. I will largely be speaking in generalizations. I am aware that being disabled does not necessarily mean that you agree with these opinions, I’m simply talking about the majority opinion from what I’ve learned. *Note, since writing this post, I learned about my own autism diagnosis and have started my own journey as an autistic self-advocate. I left this post as-is for parents without their own diagnosis. Not only do they have a voice, but they want it heard. If we learned anything from the controversy with #crippingthemighty it’s that disabled self-advocates are pretty flipping tired of their voices being drawn out. It’s simple to focus on whatever is most prevalent and in your face when it comes to the disability community, and unfortunately what is most in our faces are organizations like Autism Speaks and the voices of parents speaking rather than actually disabled people. This is one main reason that I choose to support ASAN. Their slogan, “Nothing About Us Without Us” sums up the fact that autistic and otherwise disabled adults are tired of shouting without anyone listening. It’s time to listen to what they have to say and act on it. Like I mentioned above, I am not speaking for all disabled people, but the overwhelming majority of those I’ve talked to have an issue with the words we say surrounding disability. While parents tend to prefer person-first language (which distances their children from their disability), most disabled advocates prefer identity language because their disability is an integral part of who they are. Other words that we deem politically correct that autistic and disabled advocates have spoken out against include “handi-capable”, “differently-abled”, and even in some cases, “special needs”. It makes sense when you think about it. Disability and/or disabled isn’t a bad word, just say it. I know you’ve seen it. You’re scrolling through Facebook and there’s a picture of a child on crutches winning a race. How inspirational. There’s a video of an autistic boy ordering his own sandwich. Ooooooh, Ahhhhhhh! Okay, here’s the thing. I get it. The videos and pictures give abled people the warm fuzzies. These are especially true for parents of disabled children. It can inspire them to see people with their children’s same diagnosis doing the things that they believed their children would never be able to do. Now, I’m not saying that disabled people can’t be inspiring. I’m not saying that we shouldn’t celebrate the accomplishments of disabled people. But before you share something, consider this. Would it be newsworthy if there was no disability involved? “Child Finishes Race” and “Boy Orders Sandwich” don’t sound quite right, do they? This might be where the biggest battle between disabled self-advocates and the majority of parents, especially parents online. As a mom blogger, this is a very fine line that I do my best to tread carefully. Much of the explosion with The Mighty was over their tendency to feature posts written by parents of disabled adults that were written without respect for the child in the post. Just because a child is disabled, this does not mean that they don’t have the same right to privacy, respect, and dignity that abled children do. As a general rule, if you wouldn’t want it written about you, please do not write it about your child. From bathroom habits to intimate medical details, to detailed descriptions of meltdowns, there are tons of things posted on the internet for all to read. And some of these posts include full names and full face pictures. Even if your child may never have the ability to read it, please don’t share it if you wouldn’t want it shared about you. These are just a few of the opinions that separate the opinions of most disabled self-advocates from opinions of parents of disabled children. 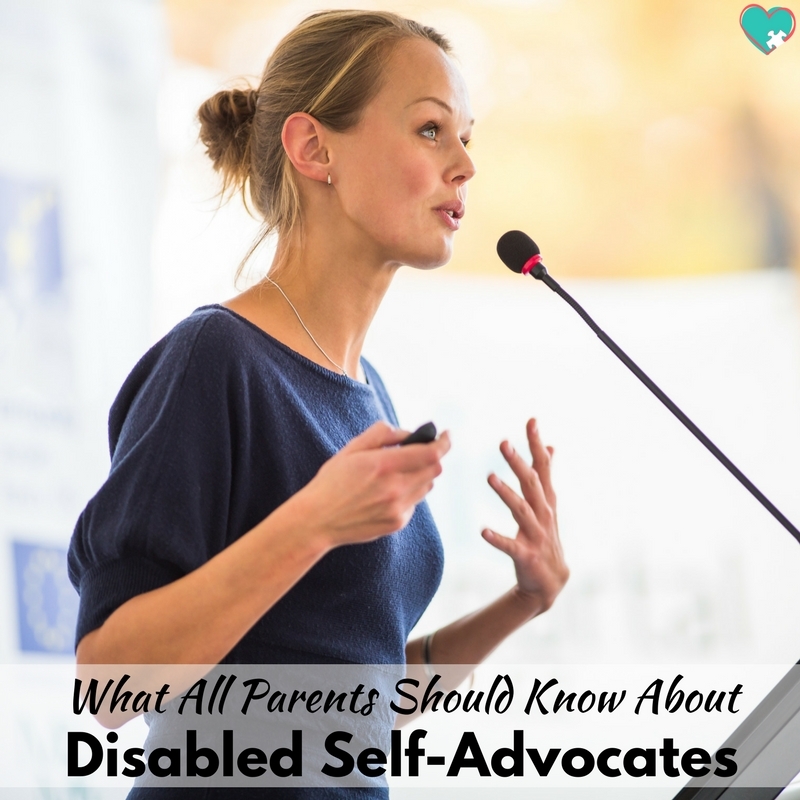 I feel that it’s so important to listen to and value the opinions of disabled self-advocates so that we can learn how to help raise our children the best that we can. 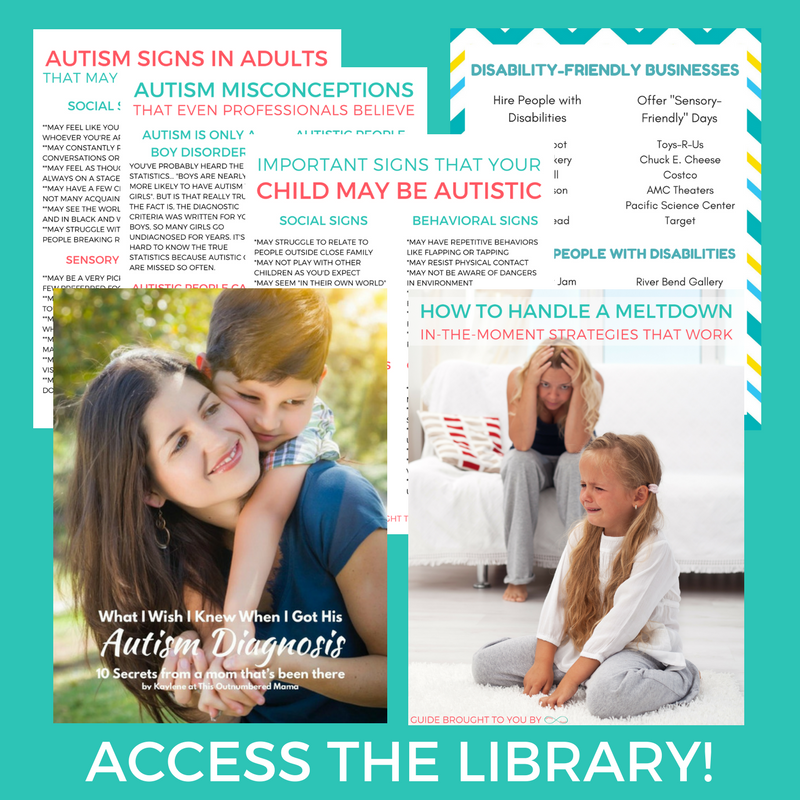 If you loved this post, you might also enjoy..
Kaylene George is an autistic self-advocate, author, and mother of five, including one autistic child. 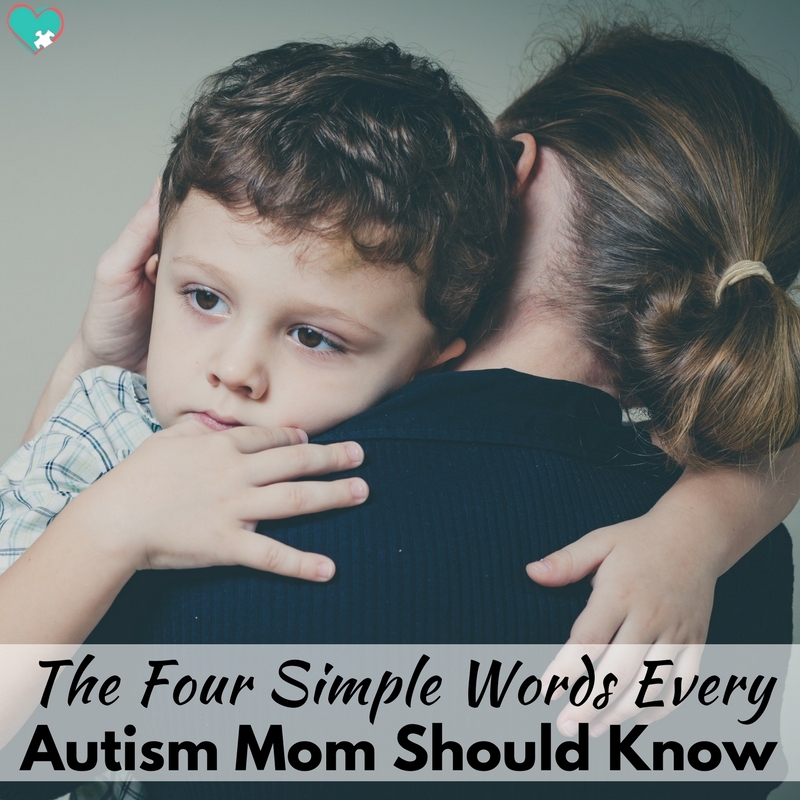 She realized her own autism as an adult shortly after her son received his initial diagnosis. Suddenly the parts of her that seemed so “weird” to society had an answer. Since then, Kaylene has passionately shared about her experiences with autism from both sides of the great divide between parents and autistic self-advocates on AutisticMama.com. As an adult Austie/Espie nothing ticks me off more than being stereotyped. From people telling me I’m over my social challenges or I should be to I can’t possibly be intelligent enough to have earned a PhD. Just lost my last job in teaching college because the new administration couldn’t accept me, though my students did. Parents need to support their kids with this “blessing” first as kids who need love and attention, but they must also focus upon working with their kids on social procedures such as how to initiate a friendship, enter a group, wait until it’s the child’s turn to talk, and control temper… while still having them know that having autism is not a bad thing or makes them abnormal. Kids be kids! I love what you wrote here and it is so true that words and names get in the way of dealing with this ever-increasing population change. No one really thinks about how the ratio of norm to autistic is becoming more and more a common feature in the world population. Normal people need to learn how to work with us, we are going to be the new normal sooner than later, and it is not something to fear but instead something to celebrate! By the way, my PhD is in Child Developmental Psychology.